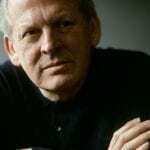 Sir Thomas Allen reflects on his long association with the Royal Opera House. When Allen first started at Covent Garden, he encountered something that, he regrets, doesn’t exist in the same way now: a genuine company. ‘There used to be a team – Sutherland, Vickers, Ward, MacIntyre, Evans; a whole host who’d been there for many years,’ he recalls. ‘They were a real interesting group of folk. Hardened professionals. I sat at their knees and listened to their stories and I learned.’ As assiduous a student as he was, however, Allen also admits to feeling occasionally dazzled by the roster of superstars who passed through that hallowed Stage Door; to the point where he says – extraordinarily, for such a giant talent – he began to suffer from a ‘distinct lack of self-belief’.